The Honey Foundation is fortunate to have strong support for our cause. Each year, we receive support from so many organizations, large and small, near and far. We are very thankful for the support we receive, and will continue to work hard to protect every dollar we raise to support our mission to spread Kindness across the World. If you get a chance, please go check out our friends below, we couldn’t survive without their support from the very start! 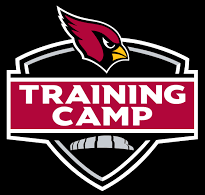 The Arizona Cardinals Charities Fund supports programs designed to improve the quality of life and enhance opportunities for children, women, and minorities in the state of Arizona. The Boys & Girls Clubs of Metro Phoenix provides structured, comprehensive development programs for youths ages 5-18. The BGCMP’s aim is to provide quality after school programs, under the supervision of a caring, professional staff, that provide a nurturing environment for educational and personal development. BusyKid is the first online chore chart where children can earn, save, share, spend and invest real money wisely. Formerly known as My Job Chart, BusyKid is easy to use, revolutionary and allows kids to receive a real allowance from their parents each Friday. No more points or trying to convert imaginary money. BusyKid is committed to helping children learn the important basic financial principles they don’t get anywhere else. Designed as a platform that is easy for parents to implement, BusyKid features pre-loaded chores based on children’s ages and making chore payment approvals is as simple as answering a text message. BusyKid is the only online chore/allowance platform that allows children to earn real allowance and use it immediately to buy gift cards, make a donation or invest in real stock. For more information, go to www.busykid.com. City of Kindness is the growing center of the kind movement. We are a coalition of organizations working to inspire kindness in our world. This site is meant to help you explore the hub of resources for everyone wanting to spread kindness. By aggregating all of these tools we hope to affect meaningful change among schools, professionals, young people, elected officials, and companies. City of Kindness is a sponsored program of Social Impact Fund, a 501(c)(3) nonprofit organization. The Social Impact Fund provides a robust non-profit structure under which projects and campaigns work to advance social good and make a positive difference in the world-at-large. The team at Anonymous, LLC manages the project. When you need to hire, a general staffing firm just won’t cut it. You need a specialist; one with in-depth knowledge of the transportation and supply chain industries. You need Contracted Driver Services. Your specialized CDL Truck Driver Staffing Agency. Since 2001, CDS has been helping businesses hire experienced and safety-oriented truck drivers and transportation-related staff – and we have more than 500 clients across the country to prove it. Since our founding in 1994, we’ve been focused on helping businesses profitably grow using internet marketing. CyberMark International founder, Kimberly Judd-Pennie, started by educating businesses about the power of this new thing called “the internet”. Despite often being told that the internet was just a fad, the SEO optimized websites she was building were helping her clients grow. With virtually no one else providing that kind of service at the time, she was one of the early pioneers in the internet marketing industry. CyberMark continued to expand and introduced new services as the internet grew like search engine optimization, pay-per-click marketing, social media management and more. After 20 years of growth and having served thousands of businesses, founder Kimberly Judd-Pennie asked John Alpaugh to join the company as its new owner and Chief Executive Officer. 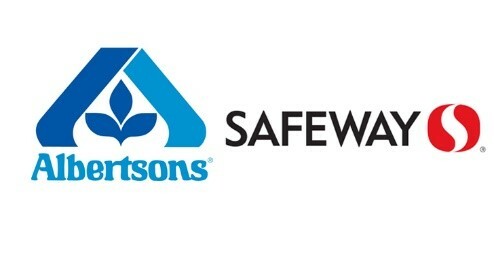 Prior to joining CyberMark, John was Senior Vice President and Chief Marketing Officer for PetSmart and has over 25 years of experience in marketing and technology at companies like Procter and Gamble and IBM. 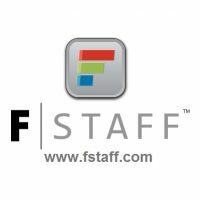 F|STAFF offers two features that simplify the lives of staffing agencies. 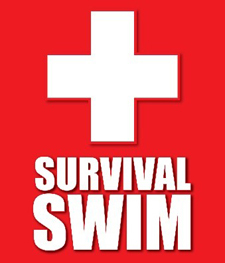 Talent Pool Management (TPM) instantly matches the right talent to the job. Because who has time to sort through a lot of resumes? Job Order Management (JOM) includes custom cloud-based portals that let you and your clients smoothly manage and submit job orders. At Faith, Ledyard & Faith, PLC, our lawyers and staff work hard to deliver quality solutions through superior service to our clients. Our mission is to serve the needs of our clients at a reasonable price and to maintain a lasting relationship. Commitment to superior service is the foundation of our success. Faith, Ledyard & Faith, PLC, routinely receives referrals from past clients, from officers of the court and from our peers in the legal profession, including our adversaries in litigated matters. Located in Avondale, Faith, Ledyard & Faith, PLC, is the largest full-service law firm in the West Valley. Our clients include individuals and families, small businesses and large corporations, the construction and development industry, and government entities. We serve the Phoenix area, Maricopa County and all of Arizona. Since 1996, we have helped hundreds of staffing and search firms. We’ve expanded our services into email marketing, website design, social media, blogging, print and online marketing. And we’ve grown our team. Today, Haley Marketing is the largest marketing firm in the world dedicated to servicing the staffing and recruiting industry. 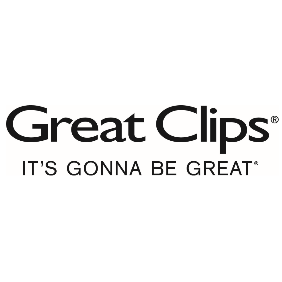 We look forward to helping you stand out, stay top-of-mind, and sell more! 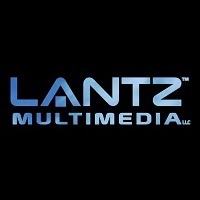 Lantz Multimedia, LLC offers a full range of multimedia services, including HD video production, video editing, aerials, multitrack recording, commercial photography, and graphic design. Litchfield Park Design Group is a full service marketing company that specializes in a large spectrum of services ranging from print, online presence, event planning to name a few. Our goal is to promote businesses within their specific niche ensuring a wide variety of avenues are explored to maximize exposure to targeted audiences. We are a hometown marketing company serving the West Valley, Goodyear, Litchfield Park, Avondale, Glendale, Peoria and Surprise Arizona. We also serve the greater Phoenix area as well as Scottsdale, Mesa and Chandler. We are true to our “roots” and care about the success of your business as much as you do. 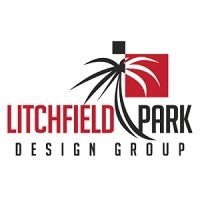 We are Litchfield Park Design Group: where Creative Experience meets Innovative Design. At LME, we know what it takes to launch a comprehensive, expert HR infrastructure, whether or not you have an internal HR professional, within a broad range of industries. Our HR building blocks establish a solid foundation for all your Human Resource activities, establishing the processes, policies and procedures you need to either start your business or run it more successfully. This foundation safeguards your business from legal and financial risk, ensures regulatory compliance, and engages your most important asset with your key business goals. We are a full service print company located in Goodyear, Arizona. Mr. Good Ink specializes in screen printing, embroidery, graphic design, custom corn hole sets, business cards, flyers, banners, and more! Members are the business, community, and government leaders representing a variety of industries. The Chamber partners with individuals and organizations from around the corner and across the State of Arizona as part of our effort to make a positive impact on our community. When looking for exceptional senior health care in Litchfield Park, AZ, the choice is clear. With a dedicated focus on your health, wellness and recovery, every aspect of La Loma Village Health and Rehabilitation is designed to embrace an individual’s needs and make them feel at home. Located within the beautiful La Loma Village Life Care community in historic Litchfield Park, La Loma Health and Rehabilitation residences offers luxurious accommodations with programs and services centered on individual personal needs. This service-centered culture is rich with amenities and exceptional levels of senior health care and service to the residents of Litchfield Park. We are a no kill bee removal and relocation company. 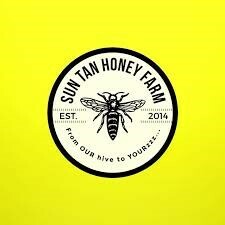 Also known for our local raw honey. For swarm or hive removal. The West Valley Mavericks Foundation is a 501(c)(3) non-profit organization which supports our community in the West Valley in a variety of ways. The mission of the West Valley Mavericks Foundation is to assist children and families, help people in need, and improve the quality of life in our West Valley communities. For every exciting yesterday in The Wigwam’s 85-year history, there is a doubly exciting today. What memories will you take home from your visit? Perhaps the most extraordinary golf game of your life. Marrying your best friend amid a pastel rainbow of 8,000 rose bushes. Barreling down a dual 25-foot water slide with your kids. Or hosting a business meeting so distinctive it earns rave reviews – and a marquee spot in company lore. Deeply entwined with Arizona history, The Wigwam welcomes you to come make a little history of your own. Stretching over 440 lushly landscaped acres, our elegantly crafted adobe-and-timber luxury resort provides a rich palette of experiences to suit your every occasion-whether business, romance, relaxation or rollicking family fun. From dawn’s first blush to the tangerine streaks of our Sonoran Desert sunsets, each day at The Wigwam is awash in endless possibilities. Yates Buick GMC extends our everyday prices and extensive inventory of new and used cars, trucks and SUVs to all of our customers in Goodyear and all of AZ. Located just South of I-10 near N Litchfield road in Goodyear, Arizona, our car dealership is easily accessible. We provide quick quotes, parts, service and financing combined with a personalized service. Since 1984, Yates Buick GMC has been an integral part of the Phoenix metropolitan area. Thank you for considering Yates Buick GMC for your next new vehicle purchase!